Wedding budgets can be tough to stick to. There’s so much planning and so many moving pieces it’s easy to get lost in the financials of what’s expected to be one of the most important days of your life. Thankfully, the folks at your local rental dealer can help you reduce costs and stay within your wedding budget. 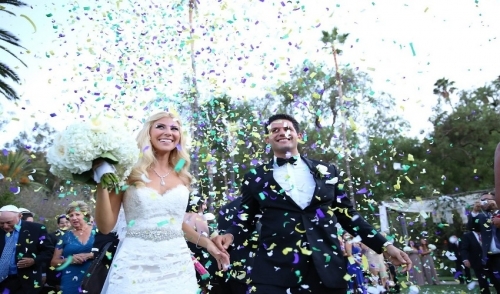 Here are a few tips and ideas where you can make the most of money for your wedding. The first tip to staying within budget is asking questions. Be in the know and keep a small team of friends or organizers that can give you solid recommendations on what to rent and where to rent it. If you are going to stay in budget your team has to be zealous and careful so that nothing is wasted. Venues often eat up most of the budget, but you can save by controlling what you put in it. If your venue doesn’t already provide tables or chairs, that’s where your renting should start. Tables, chairs, and linens can be rented in different sizes, colors, and patterns. Whatever theme you’re going for, there’s a rental that will fit. The second tip is renting stemware. Each guest requires at least 3 sets of glassware, not including additional utensils and silverware. These are all readily available items that can be rented, washed, and returned easily. Also keep in mind lighting and additional seating. Depending on your venue, you may need to bring in extra furniture or lights to fill and illuminate your space. Heels and dress shoes can hurt, so have a space where your guest can catch a quick break before hitting the dance floor. If you’re having an outdoor wedding, rent a tent. Every rental dealer has a set of premium tents that are rented out to caterers or event planners for special events. Talk to your dealer about what options are available and grab a tent to protect you and your guest against the weather. In addition, don’t be afraid to embrace all-inclusive packages. Renting items in bulk or packages can save you money per person. If you can get a tent, chairs, and tables at a fixed price, take it! This will make your money go further and also save you time. Don’t forget to have a little fun and rent exciting items such as a photo booth, games, and assorted décor to provide an experience all of your guests will remember. Weddings are always going to be expensive by nature, but it doesn’t mean you have to empty out your entire savings to make the most of your day. Plan ahead, take advantage of rentals, and you will have no problem staying within your budget. © 2019 Grand Rental Station of Hampton Roads, VA. All rights reserved.